Marc R. Berger had the most liked content! Good post! I would like to add (More fro sellers): Double check your PayPal account when you receive money!!! There is a lot of fraud with wrong messages about money sent to you. They make it look like they sent you money which is unlocked after you'll sent them the tracking number of the parcel. This kind of transactions is only to get access to your PayPal account. Normally by checking your Paypal account before answering them makes it clear they didn't send anything. Hope you understood, my english is not the best. 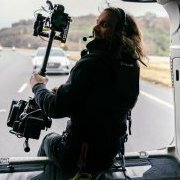 Buying a Actioncam Raptor in 2019? Ryan, try a Raptor and try the zephyr. As I told you before, the big advantage of the raptor is the ability to service it by yourself, and outfit it for your special needs. On the other hand, the zephyr is well serviced by Tiffen and you can resale it easier (as you can see). The most expensive part of a good rig is the time for practice. All these hours of practicing should be done with a professional rig you like and feel comfortable and is able to go on set too. So really, try and then buy! Take your time to make a good choice for you. I'm open for reasonable offers! Hi Simon, Contact Nafissa Tahiri Assistante de direction chez Ouarzazate film commission. You' ll find her on linkedin. She is a lovely, helpful person. She knows a lot of people in the business. If you contact her, send her my greetings.